We expected CES this year to be about connecting everything from watches to toothbrushes to virtual worlds. We did see a lot of connected, crazy gadgetry and more: the FCC’s Tom Wheeler hinted at his net neutrality decision and even Twitter won an Emmy to wrap up a long, weird week in Sin City. 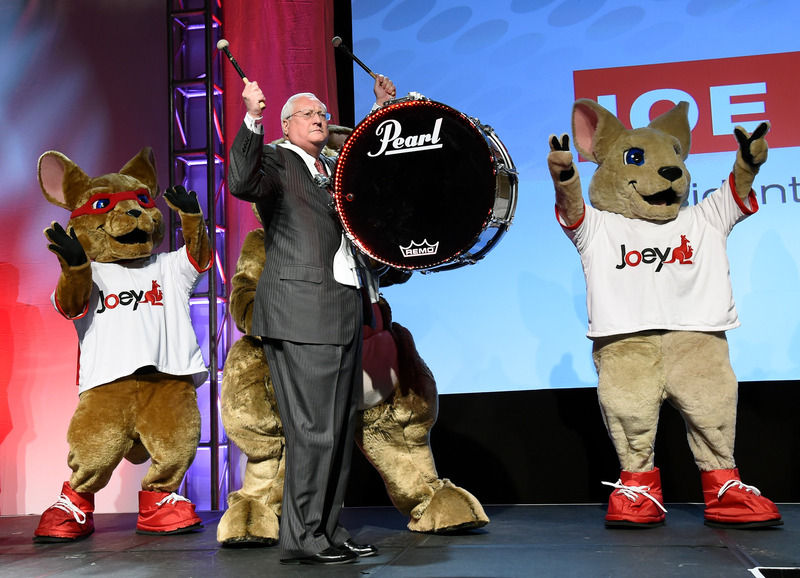 DISH President and CEO Joe Clayton makes his entrance playing a drum with kangaroo characters at a press event for DISH at the 2015 International CES on January 5, 2015 in Las Vegas, Nevada. 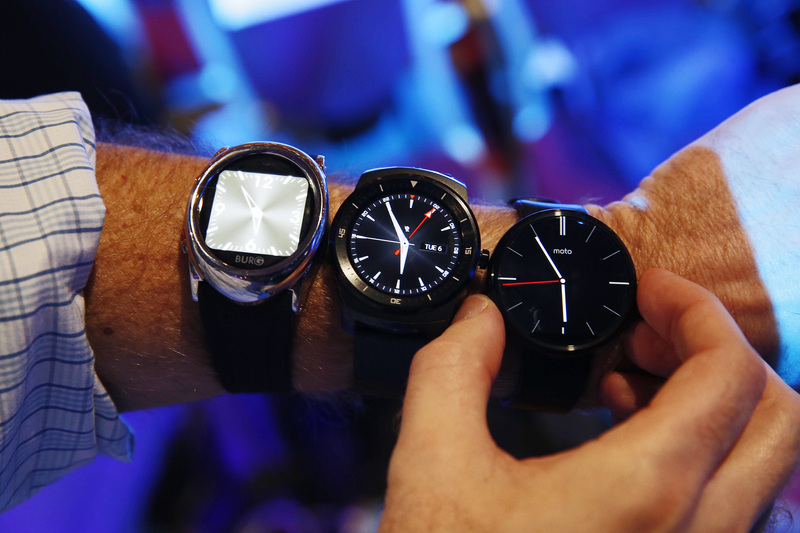 Smartwatches the Burg 12, left, the LG G Watch R, center, and the Moto 360 are arranged for a photograph during CES in Las Vegas on Jan. 6, 2015. 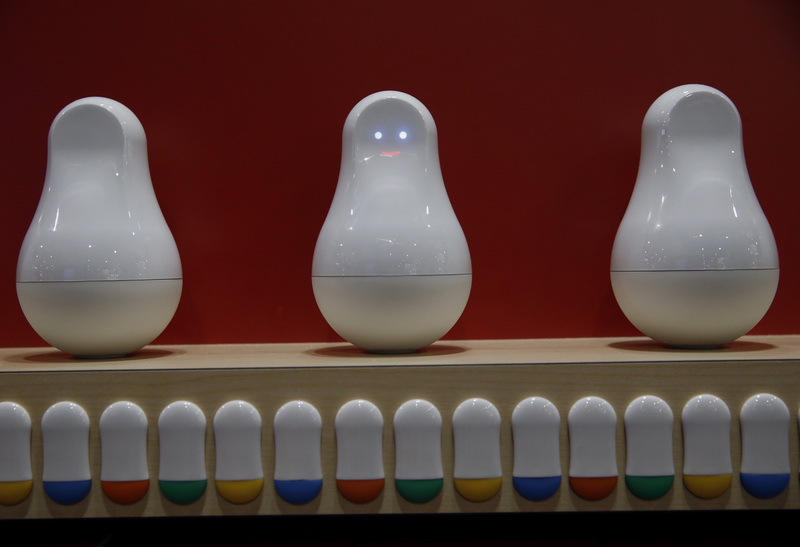 Mother smart home solution glows on a shelf during CES on Jan. 6, 2015. 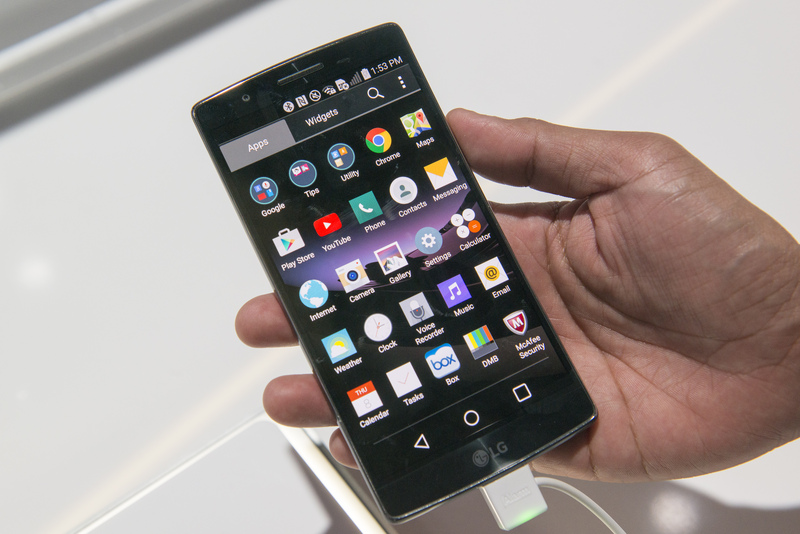 A LG G Flex curved smartphone is displayed at the 2015 Consumer Electronics Show (CES) in Las Vegas, Nevada on Jan. 8, 2015. 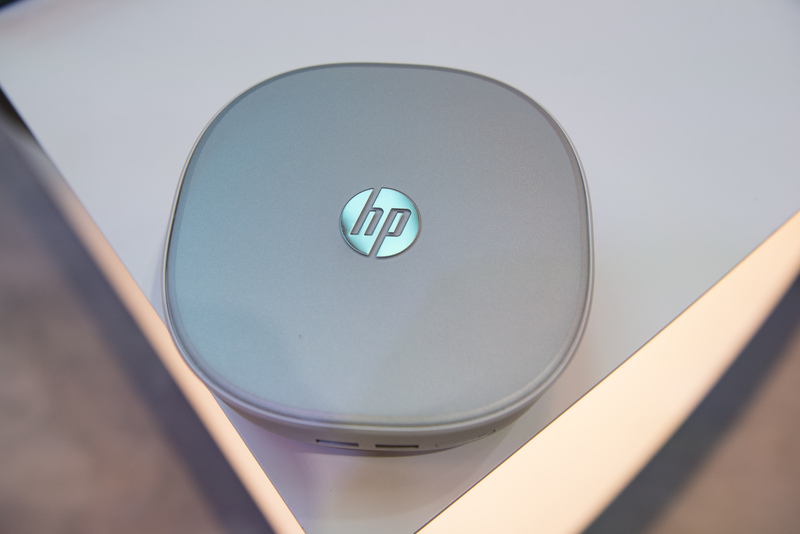 The Hewlett-Packard Co. (HP) Pavillion Mini Desktop computer is displayed at the 2015 Consumer Electronics Show (CES) on Jan. 8, 2015. 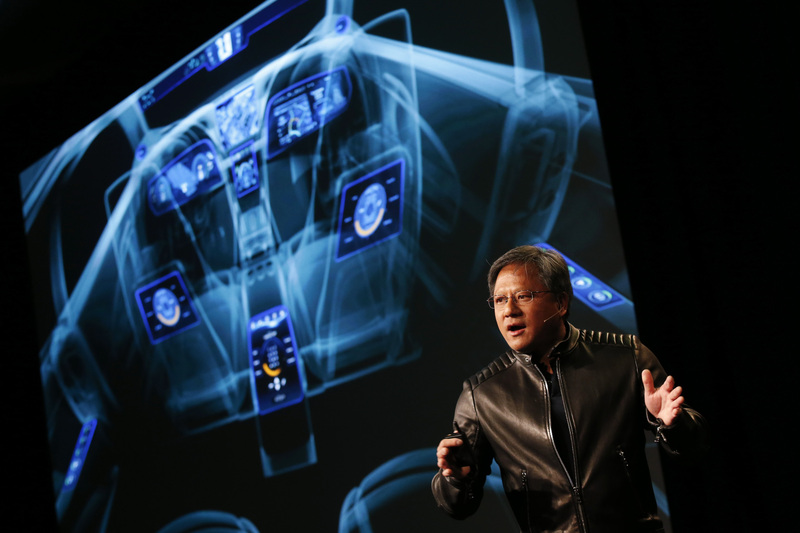 Jen-Hsun Huang, chief executive officer of Nvidia Corp., introduces the Drive CX Digital Cockpit Computer during a news conference ahead of CES on Jan. 4, 2015. 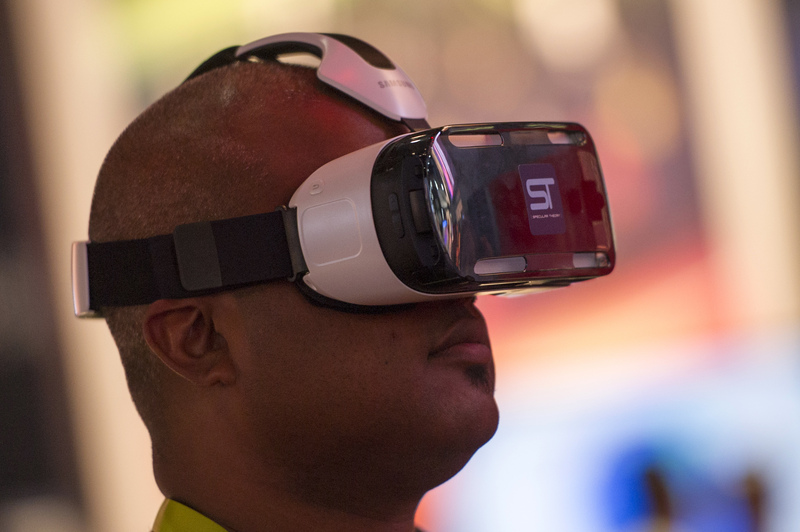 An attendee tries out a Samsung Gear VR headset during the 2015 Consumer Electronics Show (CES) on Jan. 6, 2015. Intel introduced a 3d touchable hologram. That should merit some noticed. Drones? They were the BIG story of CES and you haven’t got 1 in the list. Strange…. Worst CES in a while. No new ideas, nothing to make you think, dream. Somebody is talking before they see anything, there are many new technologies that came out this ces, show. Like the self driving cars. Self aware drones. 3D touch hologram. The smart kitchen where you can start your oven heating up from the grocery store, a bunch of cool stuff that you let blindly pass you by.